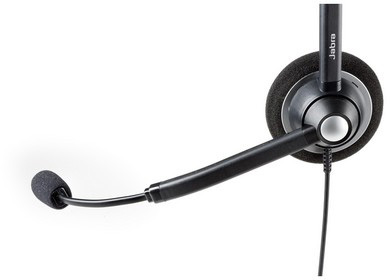 The Jabra BIZ 1900 is a professional headset that delivers outstanding value for money. Featuring a high-quality noise cancelling microphone to eliminate interference from background noise for clearer conversations; this lightweight headset has been designed for comfort making it ideal for periods of longer use. It comes equipped with a QD plug for conveniently removing the headset from your desk phone, a flexible boom, and Peakstop acoustic shock technology to protect wearers hearing from any sudden spikes in volume. 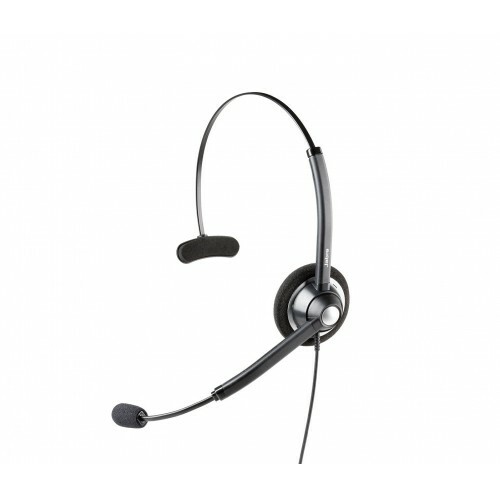 If you’re looking for a dependable, high-quality corded headset for professional use on a budget the Jabra BIZ 1900 is the right choice for you. I was looking for replacement headsets for our office that were not quite as expensive as our previous bunch. I'd not heard of Jabra before, but did some reading online and spoke to one of the sales staff at ligo and decided to go for this particular model. The sound quality is comparable with the more expensive headsets we had been using, and they're comfortable enough to wear. Service from ligo was great, and very happy with my purchase.